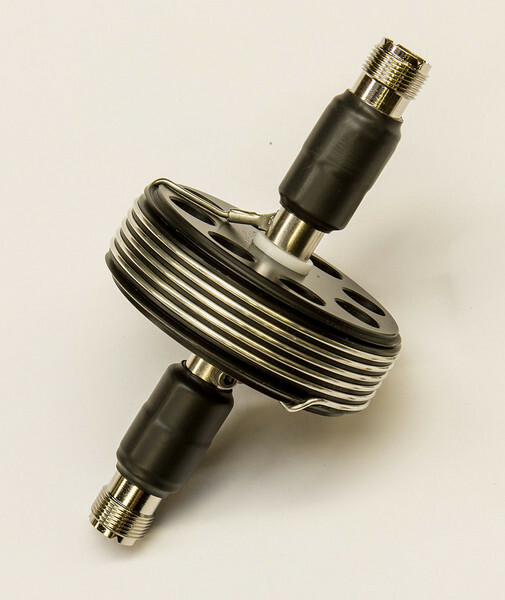 My ongoing quest is to design and build highly efficient HF mobile antenna coils continues, with the test results proving once again that coils with a larger diameter (there is a limit) and shorter in length have higher Q than long small diameter coils. This 17 meter coil 3" in diameter, is proving to be a very efficient coil with a high Q. Just so you know, I build my RRC coil forms from Delrin®, and both black as well as white Delrin® are RF transparent, although the white is more RF transparent than the black Delrin® above 1 GHz in frequency.